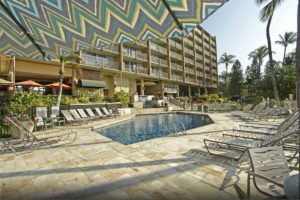 MauiBeachCondo.com – Best Vacation Spot in Hawaii! The greatest vacation spot in Hawaii!!!!! Maui Beach Condo #411 is your beach front affordable accommodations when staying on Maui. This ocean-front unit has a spectacular panoramic view that is second to none. The unit is a fully furnished with two bedrooms, two bathrooms, and a full kitchen. Your home away from home is located in the fabulous ocean front resort – Mana Kai Maui. Your vacation in Hawaii can be as busy or laid back as you like. 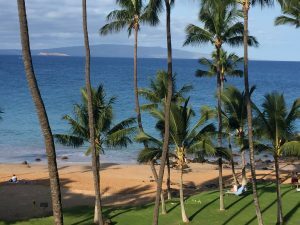 There are hundreds of activities and sites to see on Maui and our condo location right on the beach in Kihei will afford you easy access to everything the island of Maui has to offer. Do nothing and just plain relax under our palm trees! Maui Beach Condo #411 is privately owned and rented year round. Enjoy browsing our web site and we look forward to hearing from you.